He has set up his own highly successful record company and is an acclaimed instrumentalist, composer, conductor, musicologist and intercultural ambassador for the European Union. He has received two Grammy nominations for his film soundtracks, his album of music from the film Tous les matins du monde has sold more than a million copies and last year he performed 182 concerts. 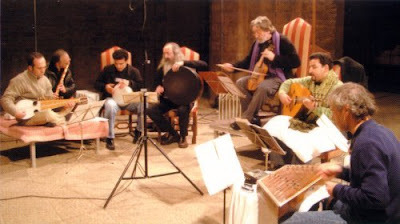 Jordi Savall is 67. You can hear him in conversation with me at 5.00pm May 25 and 0.50am May 28 UK time on Future Radio. Now read why youth is a state of mind, not a time of life. The podcast of the Jordi Savall interview is now uploaded, although the descriptive text may not be there for another twenty four as we found that the umlaut in 'Arvo Pärt' causes the iTunes software to throw a wobbly.